The Center for Podiatric Care & Sports Medicine is known for offering state-of-the-art procedures that are highly coveted by elite athletes to repair injuries and speed up rehabilitation times. 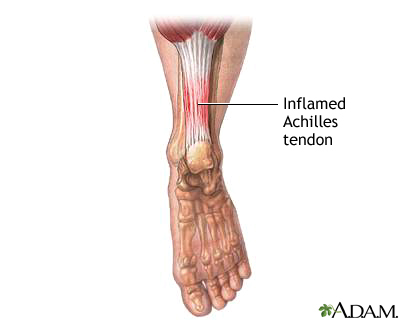 One of the treatments we feel particularly passionate about is the minimally-invasive Tenex procedure for Achilles tendon pain. “The recovery is much quicker than with conventional surgery,” explains Dr. Katherine Lai, “and the results have been very good.” For the ultimate convenience, New Yorkers who want expert-level care to repair overworked, torn tendons can book their consultations and procedures at our Manhattan or Westchester centers online, without a long waiting period. Our NYC sports medicine center uses the latest technology to heal chronic tendon pain and injury at the source. Gaining FDA approval in March 2013, the Tenex Procedure, a.k.a. “FAST” procedure (Focused Aspiration of Scar Tissue), was designed to address tendon pain in 20 minutes or less. It is used to treat tendons like the patellar tendon (“Jumper’s knee”), Achilles tendon, lateral epicondyle (“Tennis elbow”), and the plantar fascia (“plantar fasciitis” heel pain). This therapy doesn’t just alleviate pain: it attacks the source of chronic inflammation to provide lasting improvement. How Is the Tenex Procedure Performed? 1. Use ultrasound imaging to visualize the damaged tissue. 2. Numb the area with a local anesthetic, which feels like a quick bee sting. 3. Make a micro-incision and guide the TX MicroTip to the damaged tissue. 4. Use gentle ultrasonic energy to safely breakdown damaged tissue — which is reabsorbed by the body and excreted like any other toxin — while leaving surrounding healthy tissue intact. 5. Apply a small adhesive bandage to the tiny opening; no stitches required! You can click here to watch a video of the procedure being done. We treat your tendons as a quick outpatient procedure, so you can go back to work or drive yourself home the same day. Patients tell us they only feel a slight pressure during the procedure and they are surprised by how much better they feel immediately afterwards. Every individual is different and results vary. Some of the more chronic and stubborn cases may take six weeks for recovery, but most people find significant improvement right away. In the past, our only option when chronically inflamed tendons weren’t healing correctly was to go in surgically, cut out the scar tissue with a blade, and sew the patient up. This process was a considerable setback for patients who needed to take time off work to recuperate. They also had to endure a significant amount of pain before feeling better. Surgery is still practical for some patients who are extremely active and at risk for re-rupture. Feel free to contact our team of sports medicine specialists in Manhattan or Westchester with any questions you have about the Tenex procedure or other advanced therapies that alleviate chronic tendon pain. We are fully equipped with four experienced, board-certified podiatric surgeons, so we can accept new patients without a long wait.